NFC Indonesia is the subsidiary of digital payment system provider M Cash Integrasi, a company that went public in Indonesia in 2017. Suryandy Jahja, Director of M Cash Integrasi, said the company has already concluded a roadshow to promote shares of NFC Indonesia in front of foreign investors. Various foreign investors - from Hong Kong (for example PAG Asia Capital), Singapore, Malaysia and Australia - are reportedly investing in the company although Jahja emphasized that the biggest portion of shares will go to retail investors in Indonesia. Only up to 25 percent of new shares will be available to foreign investors. 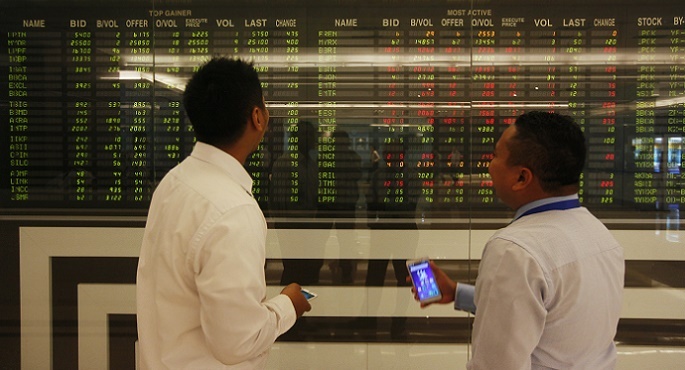 The 166.67 million new shares that are offered to the public through the IPO are equivalent to 25 percent of NFC Indonesia's enlarged capital. Jahja said 60 percent of the IPO proceeds is set to be allocated for the company's working capital budget, while 25 percent is to be used for investment. The remainder will go to the company's human development budget. Jahja added that NFC Indonesia is a relatively new company, established in 2013, and therefore only posted some limited net profit over 2017. This year, however, net profit is targeted to rise. Abraham Theofilus, President Director of NFC Indonesia, said the company is keen on developing into the leading digital exchange hub in Indonesia, supported by the development of four platforms: (1) digital exchange, (2) digital advertising exchange, (3) communication platform exchange, and (4) the media and entertainment business. NFC Indonesia uses an application program interface (API) that specifies how software components interact. The technology enables the company to interconnect big data from myriad business lines and allows the company to curate the experience or behavior of customers. Through its digital business unit, NFC Indonesia introduced NFCXC, a real-time phone credit marketplace. Future plans include the introduction of OONA TV, a free-streaming video and TV entertainment service. The general offering period is scheduled for 3-5 July 2018. One week later - on 12 July 2018 - NFC Indonesia is set to make its trading debut on the Indonesia Stock Exchange. Underwriters for the IPO are Kresna Sekuritas, Sinarmas Sekuritas, and Trimegah Sekuritas Indonesia. Parent company M Cash Integrasi is also eager to list another subsidiary on the Indonesia Stock Exchange, possibly in the second half of 2018 as well.